David Thompson | I.K International Publishing House Pvt. Ltd.
David Thompson is professor of railway noise and vibration at the ISVR and head of the Dynamics Group at the University of Southampton. He graduated from Cambridge in mathematics and has a PhD from ISVR. Prior to returning to ISVR in 1996, he worked at British Rail Research in Derby, United Kingdom and Nederlandse Organisatie voor Toegepast Natuurwetenschappelijk Onderzoek in the Netherlands. 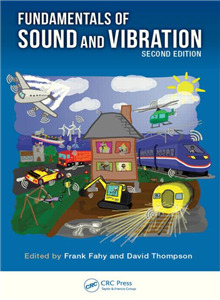 His research covers railway noise and vibration, and makes use of a wide variety of analytical, numerical and experimental techniques for vibration and acoustics. He has published over 100 papers and one book.